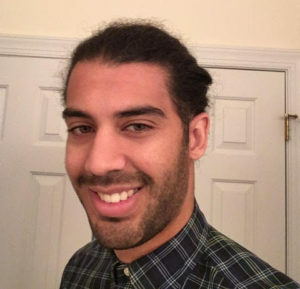 Gaming in Unity is a 4-week Game Design and Development WokeShop led by Chas Watts. Youth gather to put together a blueprint for their own game ideas. Participants alternate between brainstorming, learning and using the program Unity as a tool to learn about game design. Registration for this WokeShop is now closed. In February of 2018, Blackspace youth embarked on a 4-week exploration of Durham, Black history and sound design. Led by Blackspace facilitators Alan Thompson, Malik Rai and Pierce Freelon (read their bios here), participants mixed interviews with the descendants of African Americans enslaved on Durham’s Stagville Plantation with original soundscapes, weaving voice with music and history with technology. This collaboration with archivist Phyllis Dooney included dozens of hours of interviews, exploring everyday black American lives, then and now. Phyllis recorded interviews and footage of business owners, activists, veterans, cooks, farmers, congregates, mothers and fathers — bringing the storied history of larger America collectively in today’s voices of descendants from an enslaved population in Durham, North Carolina. In the antebellum period, Stagville Plantation produced corn, wheat, tobacco, and cotton, raised pigs and milled grain with the labor of an enslaved population that numbered 900 at the time of emancipation (with an estimated 3000 total enslaved people over time). This project will feature the descendants from Historic Stagville who present a diverse range of experiences, ages and points of view; shedding light on a community that has significantly impacted the cultural and economic fabric of Durham. Sankofa Sounds WokeShop culminated in an audio tapestry of lives: a compilation of family mythologies and histories that illuminate the 154-year post-Jubilee. 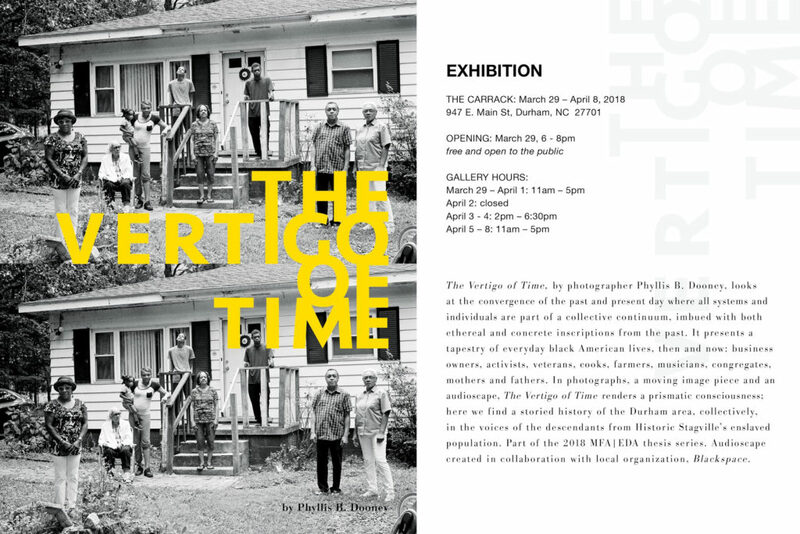 This collaboration was presented at the Carrack art gallery in Durham, and was presented alongside photos and videos from Phyllis Dooney, in her exhibit The Vertigo of Time. Videography Wokeshop is a program designed to encourage students to analyze social issues through film while learning the basics of video production. We believe the visual medium is one of the most effective ways to both learn about and bring awareness to any issue. In the age of social media and fast information delivery, students are conditioned to absorb information more effectively when presented either visually or experientially. Video production calls for both. Together, our Beat Making and Videography programs help youth build skills in filmmaking, music production, cinematography and photography; exposing students to various social issues, so they can choose one to focus on for their project; introducing youth to 21st century storytelling and journalistic medium — the world of film — and how it can be used to bring awareness to social issues that affect teens; furthermore we aim to connect our youth to professionals and resources and provide a foundation for them to consider film as a career path. The program is co-facilitated by Eric “Clint Eastwood” Brown of Digital Coup Media and producer/rapper Pierce Freelon.